This is a square National Association of Ice Industries porcelain sign. This particular National Association of Ice Industries sign is black and white. 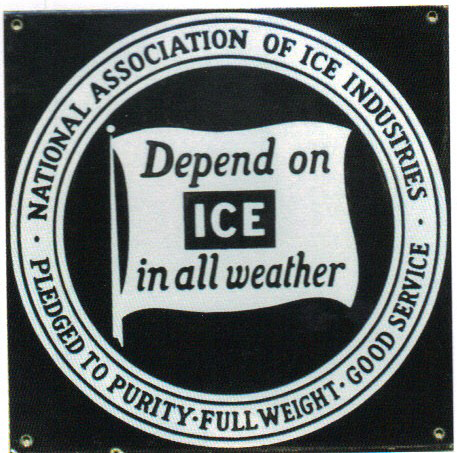 It reads, “National Association of Ice Industries, Pledged To Purity – Full Weight – Good Service, Depend On Ice In All Weather” and features a white flag against a black background in the center.